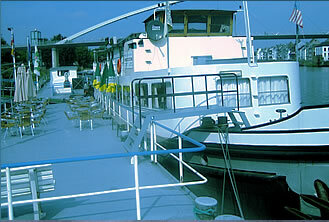 Botel Maastricht, the cheapest accommodation in the centre of Maastricht. € 50 p.r.p.n. € 64 p.r.p.n. € 56 p.r.p.n. € 70 p.r.p.n. Breakfast is € 7 per person per night. All rates are including tax and without the € 2,50 p.p.p.n. city tax.